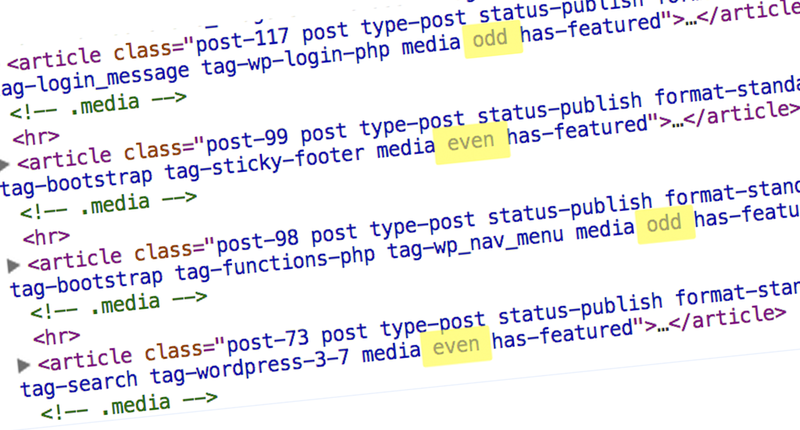 WordPress provides a function called post_class() that outputs various class names for the post being referenced. 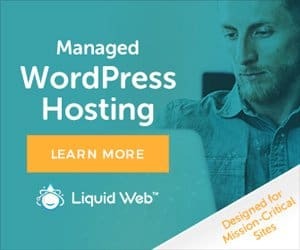 This is most often used on post listing template files, such as index.php & archive.php, as well as the single.php template file. There are two ways to include this code: create a plugin, or add directly to your functions.php file. The above code will add an “odd” class to all single posts (single.php). This isn’t very useful for styling purposes, and I can’t think of a reason why you’d need it. If anyone can provide an update to this code that only applies odd/even classes to non-single references to post_class(), we’d appreciate it. I tried various options using the ! is_single() conditional statement, but couldn’t find a solution. Reference post_class() in the WordPress Codex. 3 Commentson "Add Odd & Even Post Class to WordPress Post Listings"
Hello Dave, i was thinking is this can be done with a 3rd elemen? I’m not sure how to add a class name to every third element, but if you just need styling, you could try using CSS instead. This would select every third <p> tag inside of a <div>.